Spend this Easter break at Gladwins Farm a collection of 9 self-catering cottages in Nayland, Suffolk. The Farm is very child friendly with an outdoor playground, new indoor play barn and heated indoor swimming pool, sauna and hot tub. Dedham Cottage offers families a compact holiday cottage with a double and twin with views out to the pond and woodland beyond. This cottage is available between 5 and 12 April (7 nights) for £795.00. There is plenty to do for children of all ages – outdoor activities include a full size, all-weather tennis court with a selection of tennis racquets and balls to borrow, croquet on the lawn, cycling, woodland walks, feeding the pygmy goats, half an hour from Frinton and the Isle of Mersea and discounted tickets to Colchester Zoo just a short drive away. There is a wide range of baby equipment to borrow and an emergency baby pack available should it be required. Baby sitting can be arranged. Cranmer Country Cottages, a collection of 8 luxury self catering family friendly cottages are a perfect base for spending a family winter break. Enjoy a swim in the indoor heated swimming pool before heading outside to a large, safe fenced play area that includes outdoor activity equipment and a timber playhouse. The surrounding area is perfect for family cycling, birdwatching and nature spotting. The beach is a 15 minute drive away. A baby sitting service is on offer, together with bespoke catering and home cooked freezer meals and picnic hampers delivered to your door. All holidays booked within two weeks of arrival receive a 10% discount. Take advantage of this great offer and grab a last minute family escape. A four night break at Owl Cottage has been reduced from £412.50 to £371.25 arrival 7 January for a 4 night mid week break. Luxury Holiday Cottages with Indoor Swimming Pool, tennis courts and games room. Book a cottage holiday during November, December, February and March and get a 5 day swimming course included in your weekly rental. The courses will be made up of 5 half hour classes from Sat-Wed from 9am followed by animal feeding. Runs between November 3 to December 8 2012 and starts again from 16 February to end of March 2013. 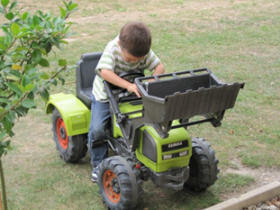 Glynn Barton baby, toddler and child friendly cottages are perfect for a family escape. The grounds are a safe place for children to run around and every morning kids can hand feed the highland cows, pigs, donkey and sheep as well as collecting freshly laid eggs. Enjoy an indoor heated swimming pool; indoor soft play barn; play room full of toys; Wendy house; games, books, videos, pool and table football; table tennis; toddler ride-on area; all weather tennis court (rackets and balls provided); children’s play area and forest walks. One, two and three bedroom cottages are available to rent from £545 for one week. 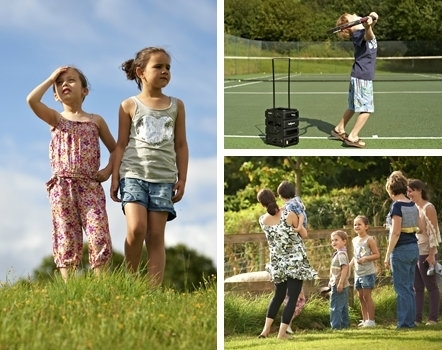 Child Friendly Holidays in Cornwall at Glynn Barton Cottages.